Hey! That doesn’t look much like bacon and cheese quiche! You’re right. That’s me and my mom. 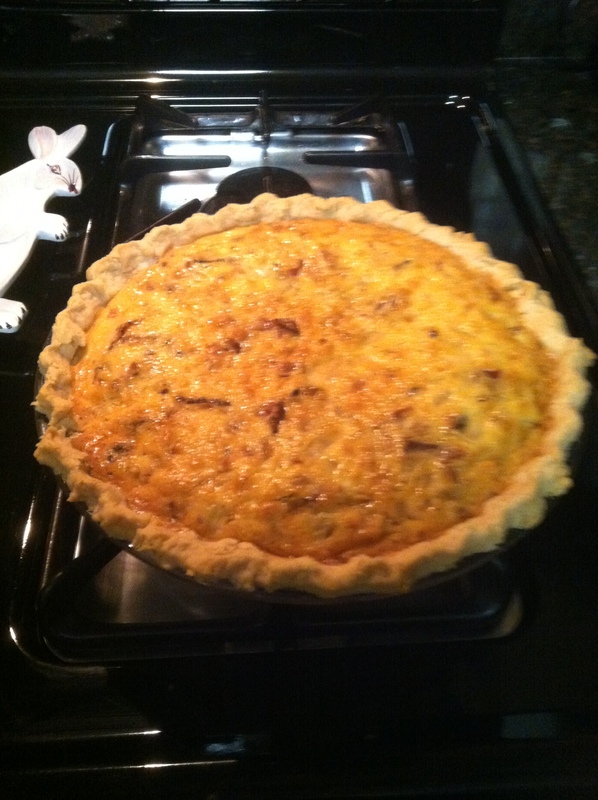 We are two parts of a three-generation family tradition of quiche. 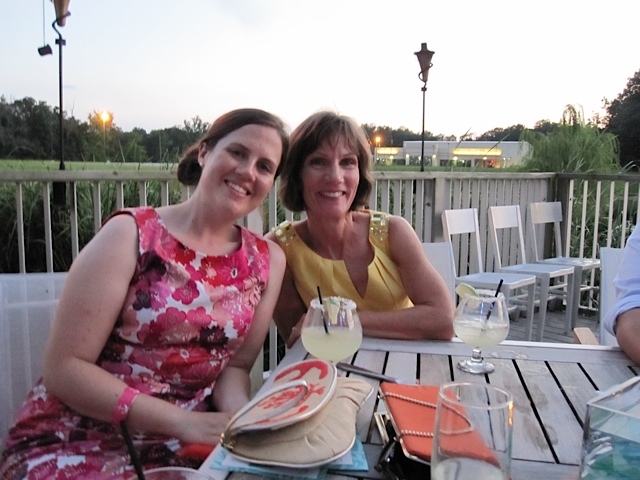 It all started years ago when my mom called her mom to find out her recipe for Quiche Lorraine. 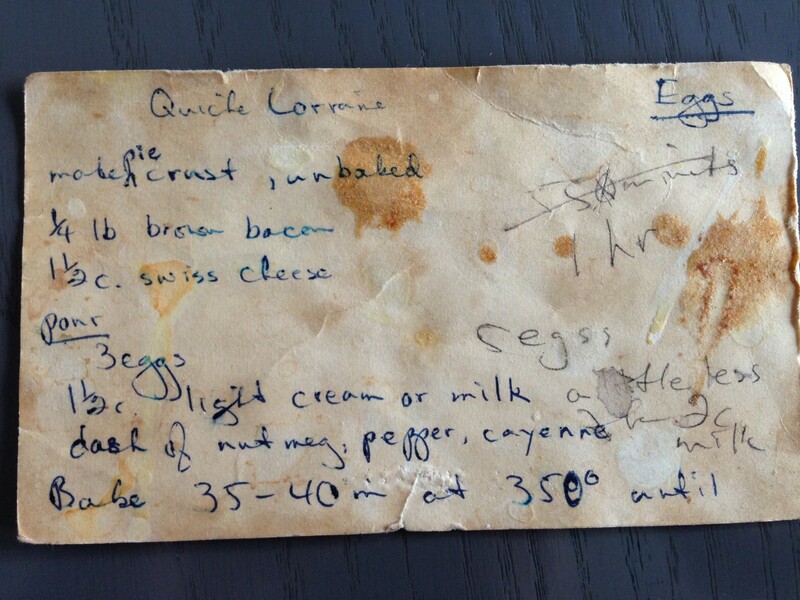 My mom jotted down that recipe on a notecard and used it to cook countless quiches for her family over the years. I think all families have that default recipe that they had all the time. Maybe yours was meatloaf or lasagna or fried chicken. Ours was quiche. Side 1. Can you tell it’s been used a few times? 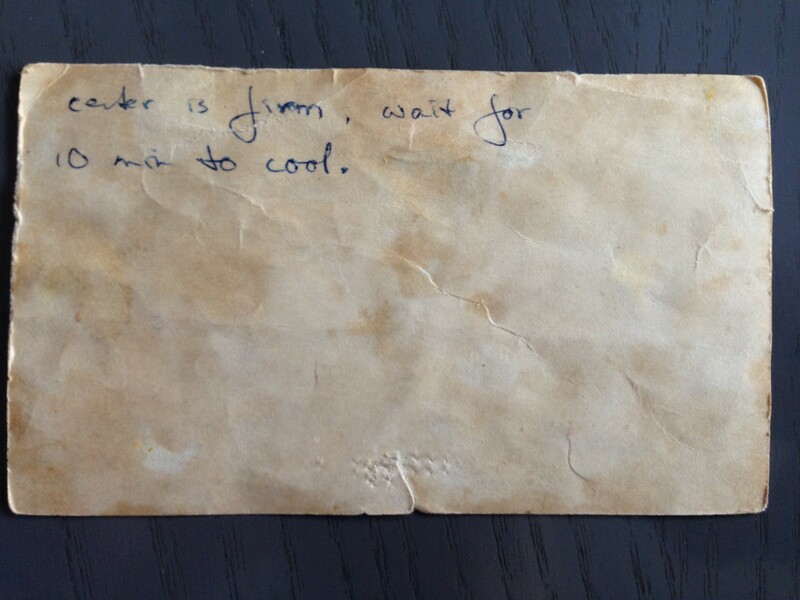 So she wrote down her mom’s recipe. I have a version of this recipe card too! It doesn’t have all of that fun patina, though. I will also share my mom’s crust recipe beyond the jump. You’ll know why when you look at this picture. Because her crust is always perfect, that’s why!!! When I look at that crust and those perfect little scallop shapes, I can see my mom shaping it with her knuckle. When I see that, I can also see my grandma’s hands. When I see my own hands, I see me making the pinches far too shallow and pointy. But I’ll get better. I learned from the best. 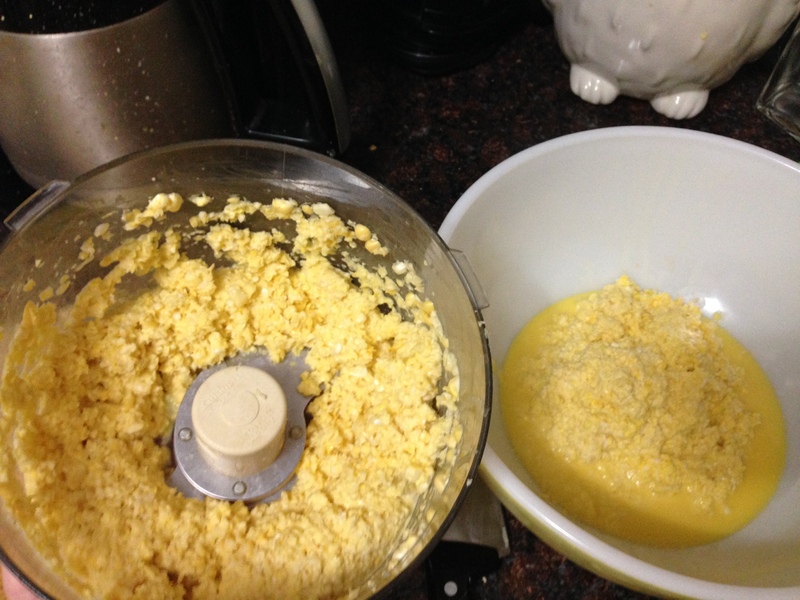 Mostly, the quiche master did not love this recipe. She liked the onion flavor, although my dad, the other tester, did not. She thought it would be lighter and fluffier than it actually turned out. She thought blind-baking the crust was a great technique, though. Her usual crust is just cooked right along with the filling. Mom, Dad, and I all agreed that this method keeps the crust from getting soggy. She said she’d do it again. That’s huge, don’t you think? Someone who has been making quiche for over 30 years and who learned from someone else who also made quiche for decades is going to change her technique based on Everyday Food! She did not have the same pan problem as Beth and I. She used a nine-inch pie plate (not her usual pan, she usually goes with a tart pan) and found she had exactly the right amount of filling. My ultimate recommendation? Make the quiche from the recipe from my grandma via my mom, use her crust, and blind-bake the crust. Oh, and I like the onions, so add those too. Stay tuned for that video. I’ll also add in pictures of the original quicher, my grandma. 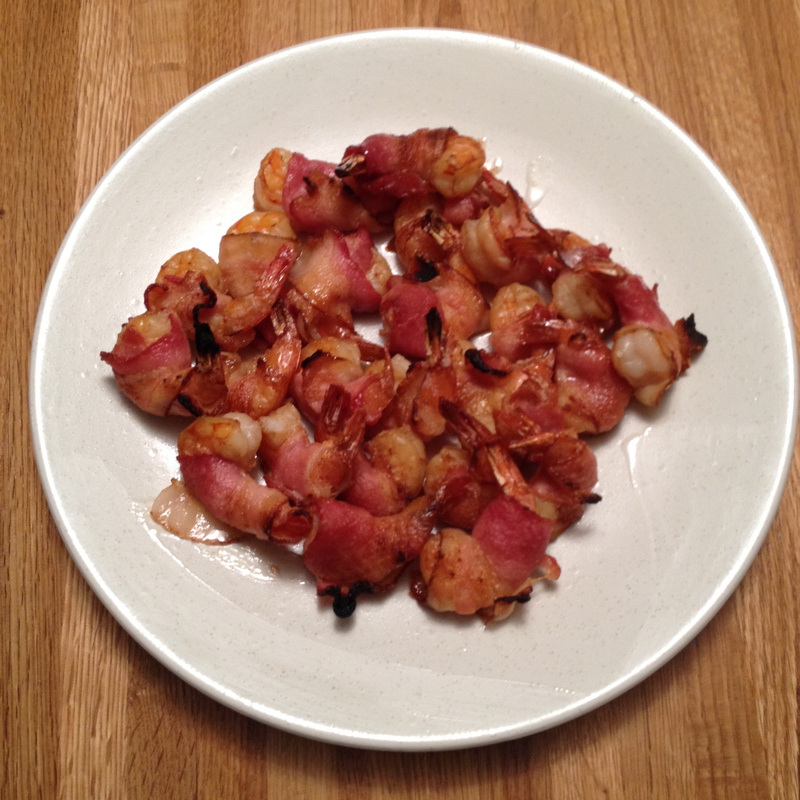 Bacon, shrimp and ginger… what’s not to like? The bear can’t eat shrimp, so I had to wait for an opportunity without him to make this. I went to my friend J’s house to enjoy this treat. The unfortunate truth is that we couldn’t find any fresh ginger at the super market the night I made this. I had to use the jarred grated kind. As a result, I do think the dish suffered a bit. The ginger flavor was really subtle, (I was the only one who was able to discern it, the other two people eating just tasted shrimp, bacon and soy sauce – which also wasn’t bad). I like my ginger to have a nice sharp kick so I was a bit sad at how that turned out. I also want to point out that the bacon strips should really be quartered. I did a few pieces with the full half strip and the bacon was too thick to actually crisp up in the oven. I did the rest with the quarter strip and the outcome was much more satisfying. Another addition that I think would be awesome would be grilling these instead of baking them. They were laying in a rather big puddle of bacon grease when they came out of the oven so I think either baking them on a rack or grilling them so the grease can drip off would be a bit tastier. 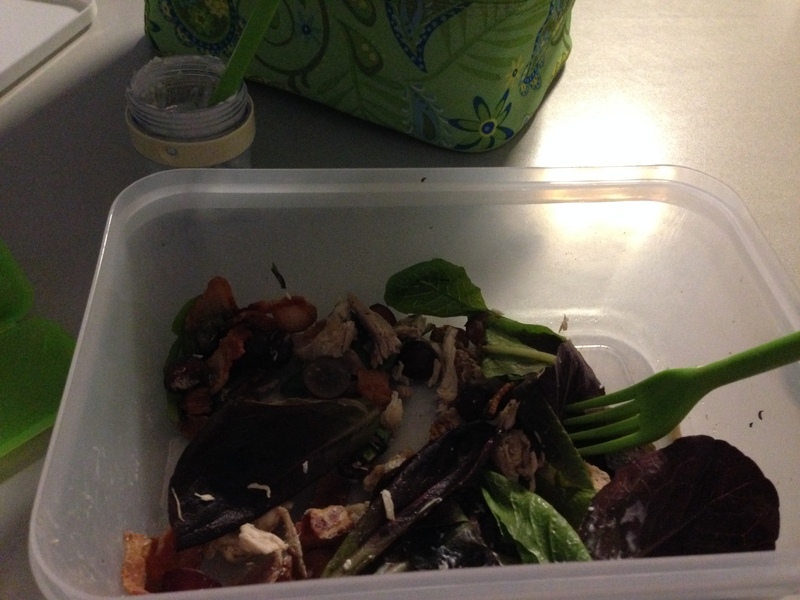 With all that being said, it really was yummy! 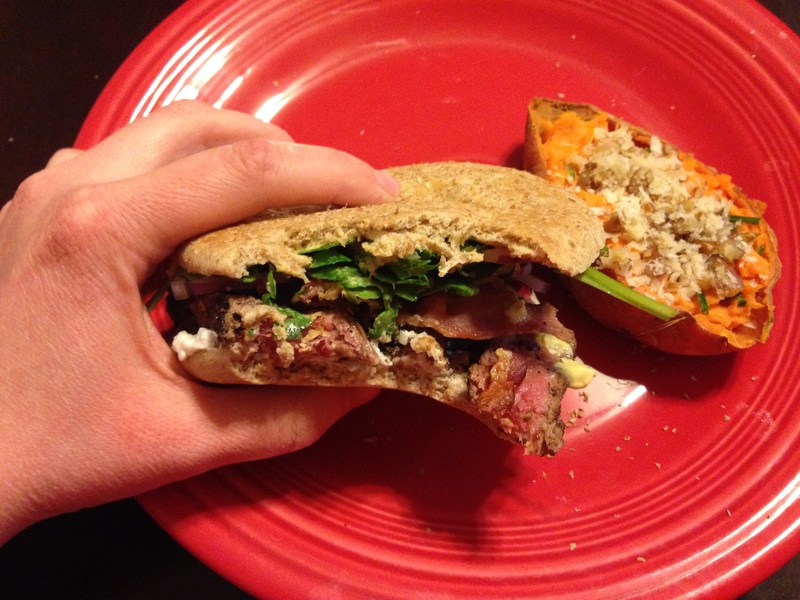 I served it with salad greens to make it into more of a meal. Make these! But make them with fresh ginger as suggested!!! B here, starting off our first joint post!! I do love yellow squash, but I am sad to say I have rarely strayed from one recipe which features yellow squash, zucchini, onion, garlic and FETA!! 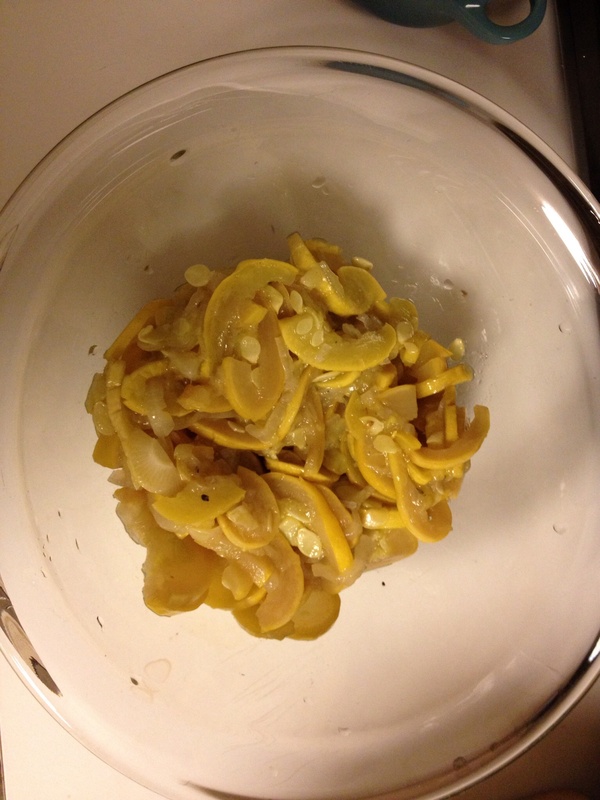 The first recipe I tried was the Quick-Marinated Yellow Squash Salad. 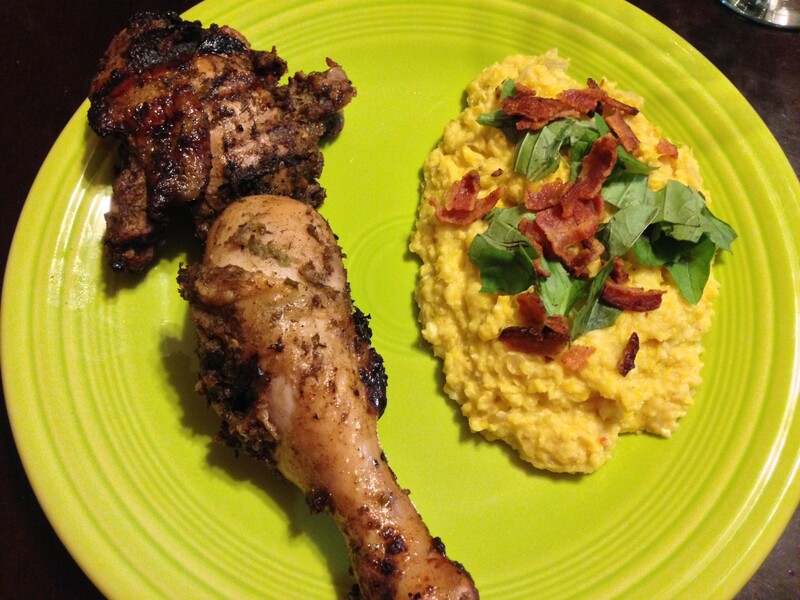 It features shallots (yay!! 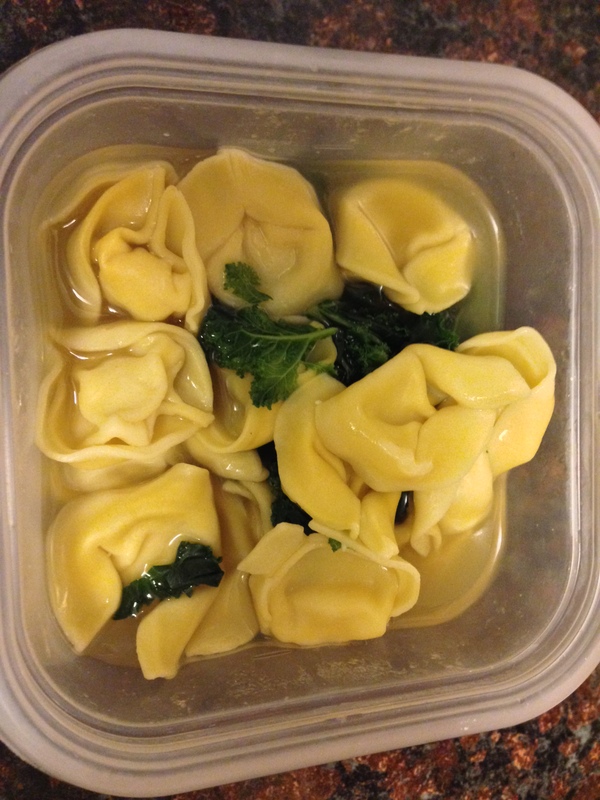 ), lemon juice, and thyme. I never would have thought to eat yellow squash raw (mostly based on texture issues I have), but by very thinly slicing it and mixing it with the acidity of the lemon juice it changed the texture enough to be very pleasing. It was crisp but not exactly crunchy. 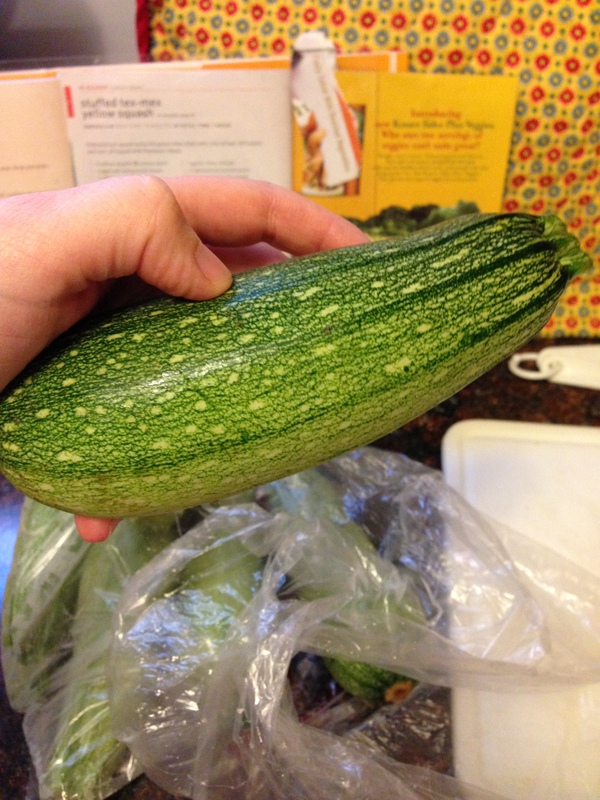 And the squash itself was much more nutty than when cooked. I’m pretty sure I’ll be making this one again. 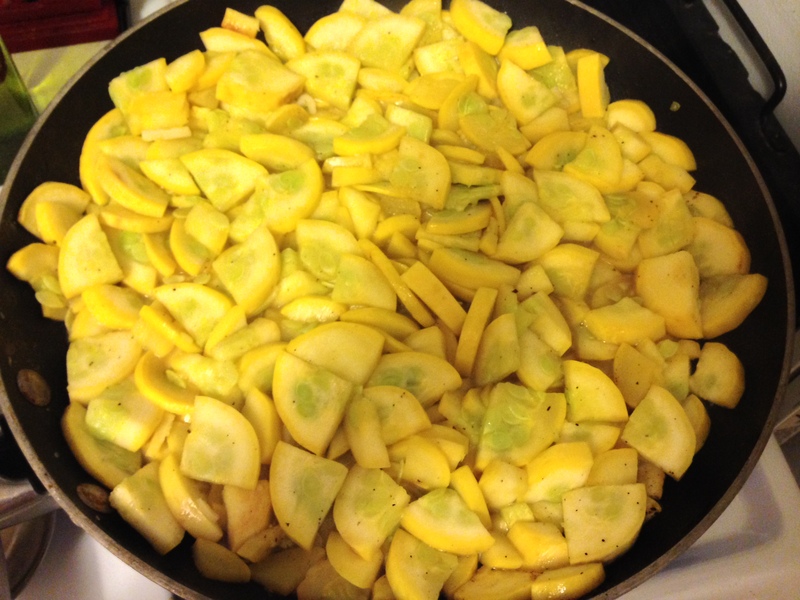 The next squash recipe I went with was Slow-Cooked Yellow Squash, which was very similar to my standard yellow squash sauté. Unfortunately, I was a little heavy handed with the salt in this instance. It still tasted pretty good, but I drank like a camel after. Luckily, I can safely say that when properly seasoned this recipe is absolutely delicious (especially if you toss in a little feta at the end)! 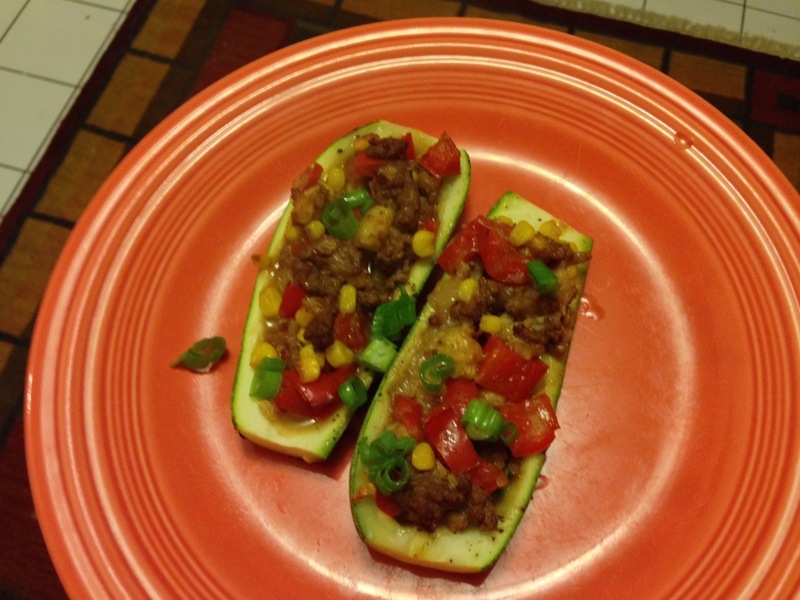 The tex-mex stuffed squash recipe is good, but not at all unique. I count on the “have you tried?” or “in season” recipes to take the ingredient to new and interesting places. 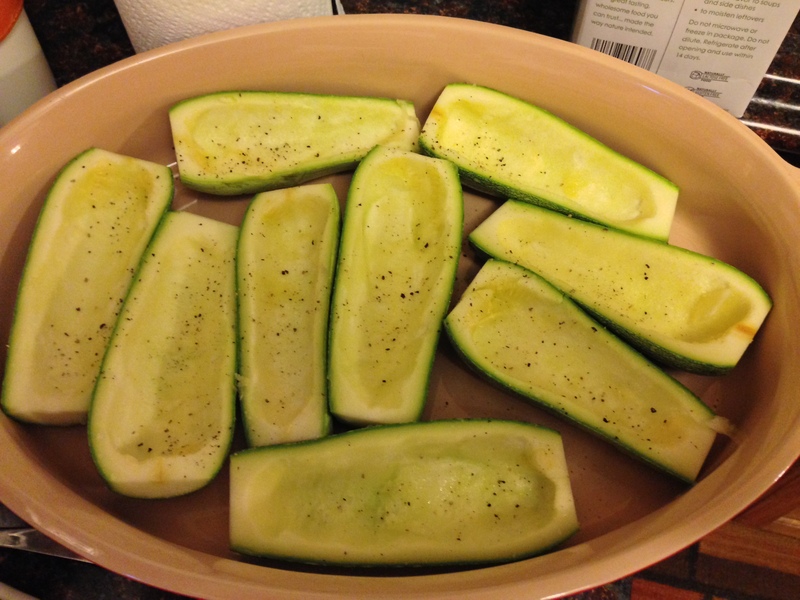 Anyone who hasn’t had stuffed zucchini a million times, raise their hand. I don’t see many hands. This doesn’t break any new ground. It’s onions, peppers, chopped up squash innards, corn, etc. all stuffed in with a tomato sauce and baked. Yawn. I would have liked to see maybe a Greek version with oregano and feta. That would be something new. I guess mine is different because of the funny squash. It’s not different enough for me. The note in the magazine says that all of the beef and corn and cheese adds “kid appeal.” I’m lucky enough to a have a kid who is too young to make much of a protest, not that I tried feeding him this. I think maybe I would, if I broke it up a little. They say corn kernels are a choking hazard, though… Goodness knows this kid needs to get used to eating stuff make out of Everyday Food! Before I go on, I’ll tell you something that might make you think of this dish differently. I guess I have two words for today. The other is “zuccanoe.” You pronounce it like the first part of zucchini (the “zucc”) with the word “canoe.” I was eating the leftovers of this dish in the break room at work when my co-worker came in, looked at my food, and said “Oh! Zuccanoes!” It almost sounded like he said “zut alors!” I asked him what he was so excited about, and he told me that he has an old book that calls stuffed zucchini, zuccanoes. I’m making up the spelling, by the way. I thought it was so cute. I hope it catches on. 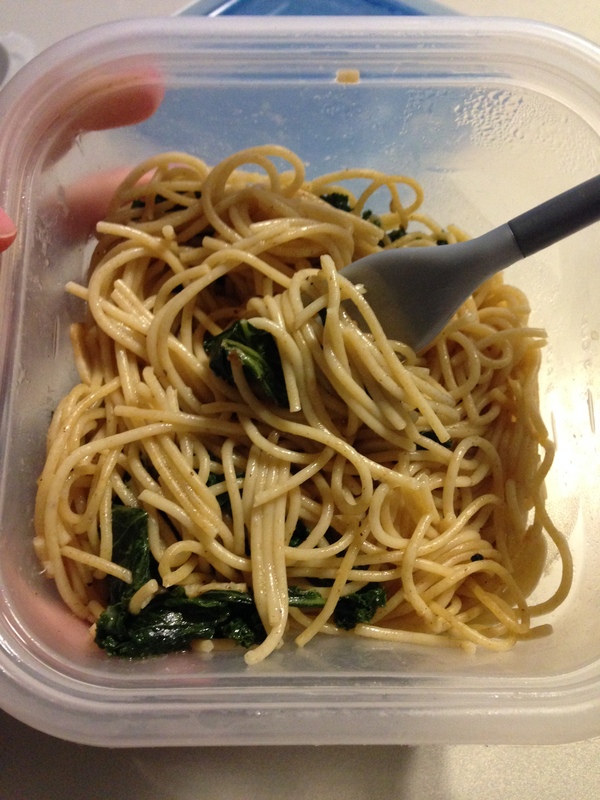 If you’re going to have pasta carbonara, but it makes you feel bad about yourself, I recommend this recipe. Look, it has a vegetable! Cream and bacon and cheese justified. You’re welcome. 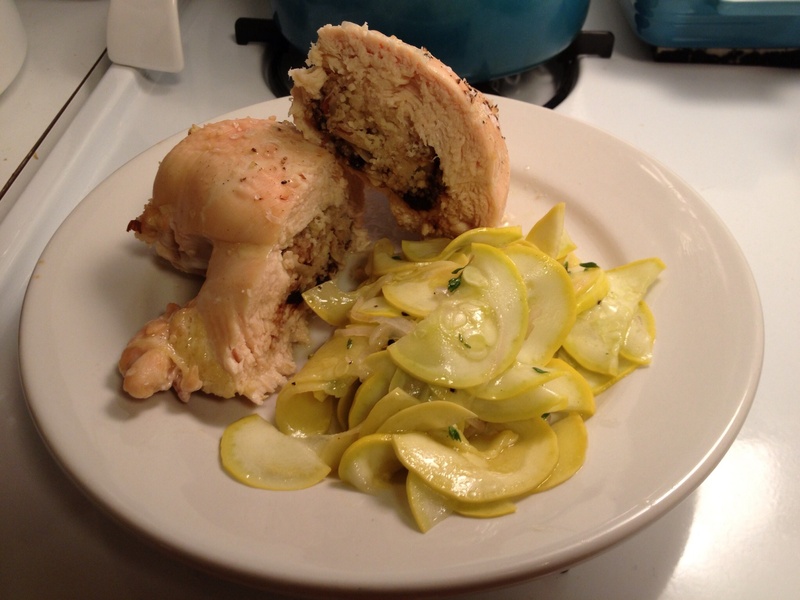 I wound up taking out about a cup and a half of cooked squash. Otherwise, the recipe is very easy and straight-forward. I once again failed to read closely and cooked the bacon slices whole, then chopped them after they were cooked. I know better. It takes longer that way, and you wind up with unpleasant, little bacon shards in your food. Also, the recipe says you can substitute parmesan for asiago. Don’t mind if I do! 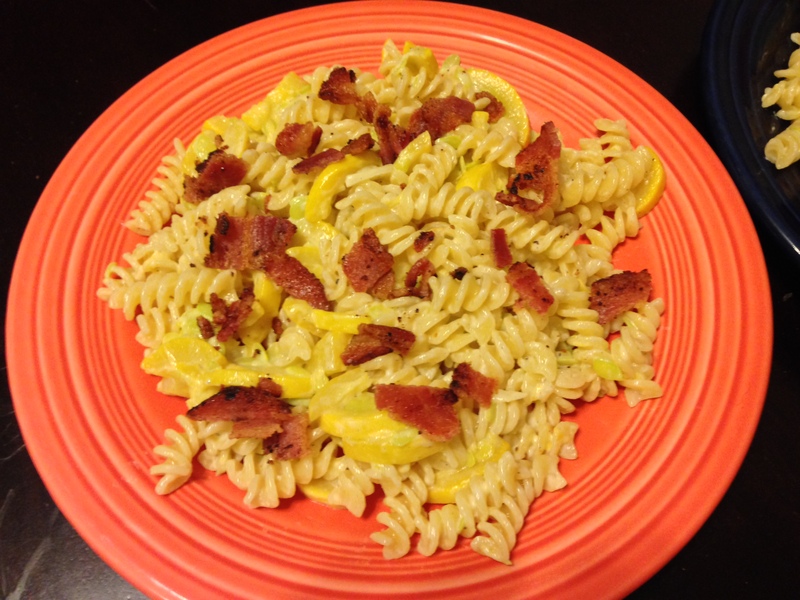 So if you need to use up some yellow squash (by the way, I can’t see why zucchini or our new friend calabcita wouldn’t be good in this) and/or you need an excuse to eat cream and bacon, this is a good recipe.